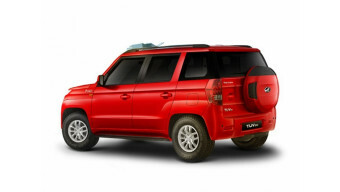 TUV stands for ‘Tough utility Vehicle’, and hence Mahindra has designed the TUV300 that makes it look tough. 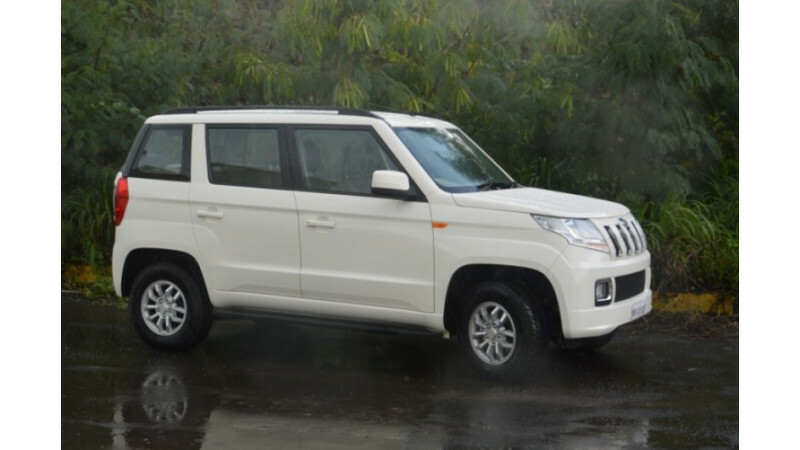 The TUV300 has a boxy design with the front sporting the seven vertical chrome slats that makes the SUV look stylish and then it even has pulled back headlamps too. The TUV300 does look muscular from the front and the squarish fog lamps meld well with the design. The side profile of the TUV300 is again boxy and it goes well with the design. The pillars are blacked out and the wheel arches are also muscular. There isn’t much to describe the side profile and the rear gets small tail lamps and there is a spare wheel mounted on the tail gate. The tyre size of the TUV300 is 215/75 R15. 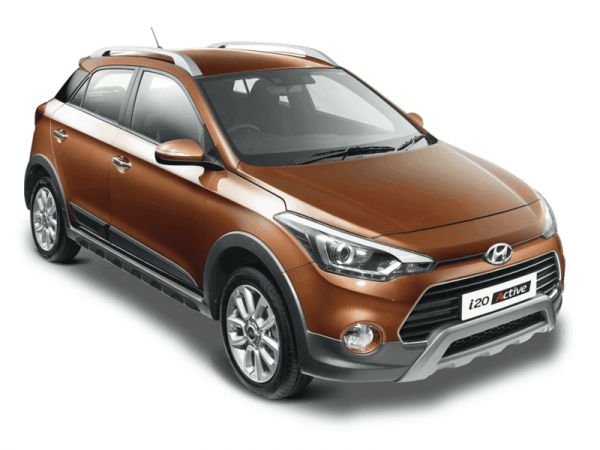 Hyundai i20 Active gets rugged additions over the premium hatchback. It gets an inverse radiator grille with slats done in matte black. The front gets impressive dual tone bumpers which have the body shade as well plastic cladding to make it look tough. The front bumpers also house conventionally shaped round fog lamps instead of the sleek version. Also, making it look modern are the projector lights with LED positioning strips. The cladding which is seen on the front bumper can be seen on the side too. The i20 Active gets differently styled 16-inch alloy wheels. 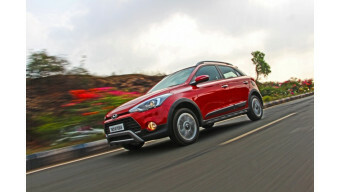 Hyundai has increased the ground clearance of this crossover to make it stand as tall as some SUVs out there at 190mm. It gets contrasting roof rails on top. 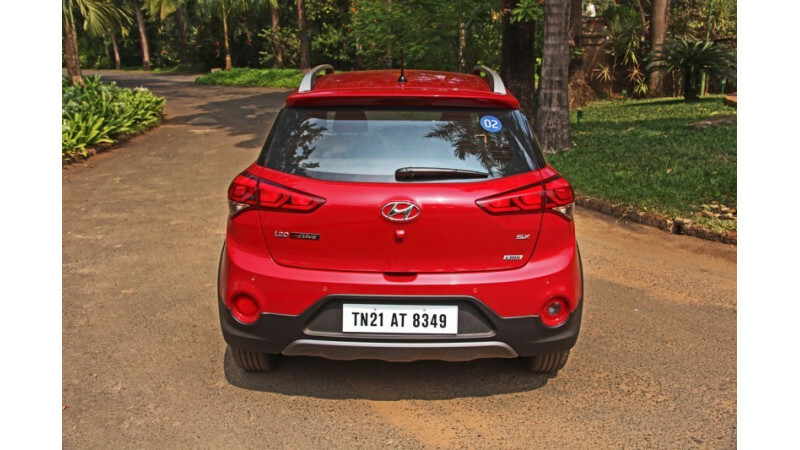 These measures were taken to make sure the i20 Active looks different than the standard hatchback. The interior styling of the TUV300 is more like a Mahindra design. The TUV300 has good quality interiors and even the fit and finish is good. The TUV300 comes with features like in-dash music system with bluetooth connectivity, USB and aux connectivity, steering mounted audio controls, reverse parking sensors, micro hybrid technology. The TUV300’s interior styling is similar to its name and this is retained on the inside too. 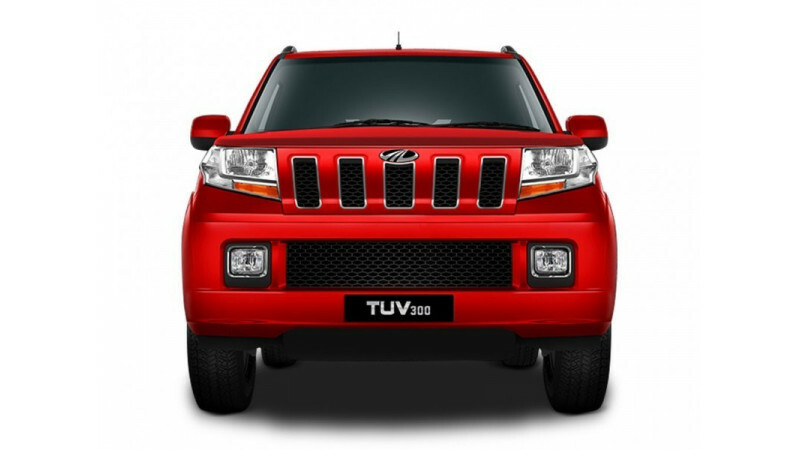 The space on the TUV300 is the best in its segment. The front row seats are comfortable, however there isn’t much of side support. There are arm rests in the front row as well to make driving comfortable. The second row seats are comfortable too. There is a lot of space at the back also, though it misses out on thigh support. Then there are the jump seats too, which is good for short trips. The Hyundai i20 Active is as rich in features as the hatchback. This one too offers 2-DIN music system with 1GB on-board memory along with standard options of Bluetooth, USB and Aux-In Connectivity. The music system is impressive and makes use of 8 speakers with twin tweeters to channelize the right audio output. Also, the rear AC vents help maintain the right temperature throughout the cabin. 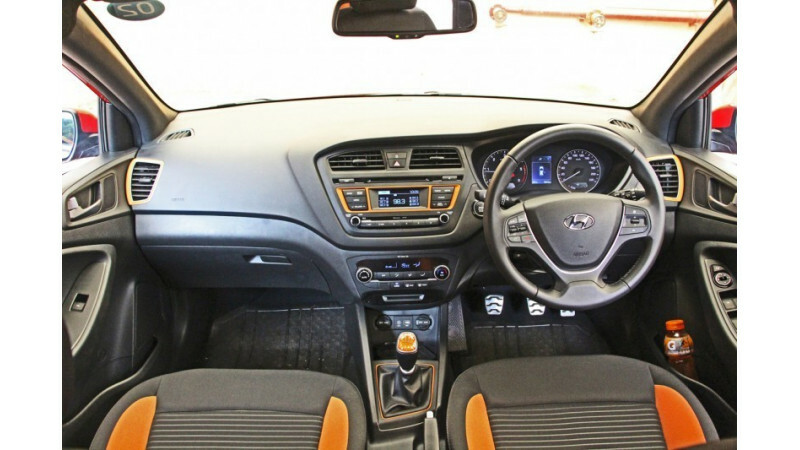 Inside, the built quality of trims and interiors of the Hyundai i10 Active appear robust. The interiors are done in dark shades of black to make it look sportier that the one in the Elite i20. The instrumental cluster makes use of the same twin dial arrangement as seen on the hatch and can also exhibit all possible information of the car on the central multi information screen. In terms of comfort, there is great amount of knee and leg room for front occupants with a height adjustment option for the driver seat only. The seats are done in dual tone fabric of beige and black. The feeling is similar in the rear zone as well with decent levels of occupant comfort. The TUV300’s engine bay has a 1.5-litre diesel engine that produces 84bhp of power and this is called as the mHawk80. The two transmission options are five-speed manual and AMT as well. The NVH levels of the engine are fairly low and the engine is highly refined too. Mahindra engineers have worked a lot on the refinement of this engine and it shows. The TUV300’s biggest USP is its drivability. One doesn’t needs to shift gears very often when driving in the city. you do not need to downshift to overtake on city roads as the TUV300 has sufficient grunt to overtake at most of the low and mid range rpms. 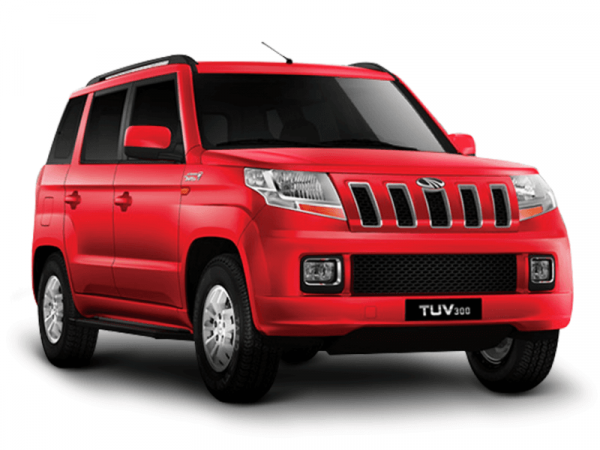 The TUV300 is surely the best compact SUV to drive in the city when it comes to power. The five-speed manual transmission is a bit notchy and the gear throws are a bit long too. Powering the front wheels of Hyundai i20 Active are petrol and diesel engines with no option of an automatic transmission. The petrol variants make use of a 1.2-litre Kappa unit that makes 82 bhp of power and 115 Nm of torque while the diesel variants use a 1.4-litre U2 CRDI motor that makes a health 89 bhp of power and a hearty torque of 220Nm. The diesel engine comes equipped with a 6-speed manual transmission while the petrol unit does away with a 5-Speed box. The entire crossover arrangement with stiffened suspensions and raised ground clearance contribute greatly to make the cabin aloof from any disturbances caused on the tarmac. It uses the same mechanism as seen on the Hyundai Verna 4S with a longer travelling suspension. As a result of which the ride quality is highly impressive. The ride of the TUV300 is the best in its class, the suspension soaks up all the road shocks that makes the drive comfortable. 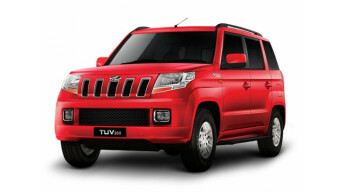 The TUV300 has good ride quality and the ride is pliant at low speeds. At speeds of about 80-100km/hr it does has a hint of jittery feeling, but this is predominately for the driver. The handling of the Mahindra TUV300 isn’t at par with its competition, however for city driving speed limits its just perfect. On winding roads, the ladder frame doesn’t respond that well, the way the monocoque SUVs perform. The steering wheel is also light and easy to drive in city and convenient to park too. Though reversing the SUV can be a hassle as the reverse parking sensors do not show correct distance. 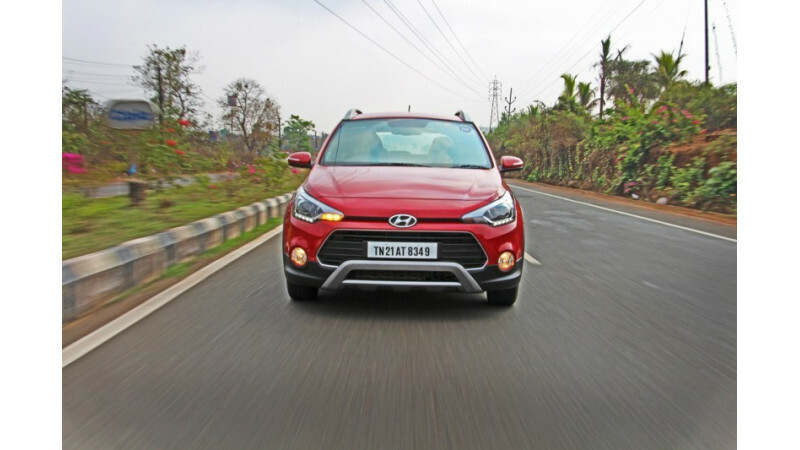 On straight lines, the i20 Active does a great job of maintain its stance and also feels highly confident at great speeds. Even on corners at high speeds, there is no body roll. The only negative aspect has to be the light steering wheel which feels a bit vague at speeds. While commuting inside a city, it feels convenient but the need for a stronger feedback from it is always felt on highways. The diesel motor revs very freely and behaves unlike any diesel motor in the segment. The low end power delivery of this motor is quite impressive for a city centric car and does not feel heavy even at low speeds which make it unique. The smooth shifting 6-speed gearbox is very effective at maturing from one cog to the other without the need of any effort. Due to a the mighty torque output, the need to change gears at low engine speeds has totally vanished as one can drive freely at lower speeds without noticing any engine knocking or stuttering. The TUV300 is a good package for those who need sturdy vehicles, but when it comes to value for money it is just fine. It isn’t very expensive, but it could have had a lower price tag. Hyundai i20 Active prices for the petrol variants range from Rs 6.77 lakhs for the Base variant to Rs 8.30 lakhs for the premium SX version with AVN. The diesel variants of i20 Active are priced between Rs 8.08 lakhs for the Base variant to Rs 9.60 lakhs for the top end SX variant that too comes with AVN. All the prices mentioned are ex-showroom Mumbai. 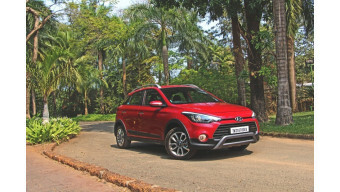 The i20 Active with the host of feature and rugged additions feels well equipped for a crossover. 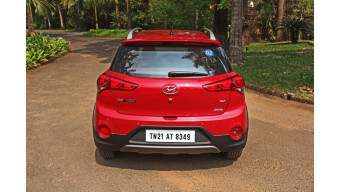 The Hyundai i20 Active is certainly a better product than the TUV300 in terms of quality, features and the appeal that the i20 Active has. Both are different segments, but for city it is the i20 Active that is a clear winner.